PT. PJB Services – Jarno.web.id – PJB Services is an operation & maintenance services company power plant which is a subsidiary of PT. Pembangkitan Jawa Bali (PT PJB) or grandchild company PT. PLN (Persero), which was established since March 31, 2001. 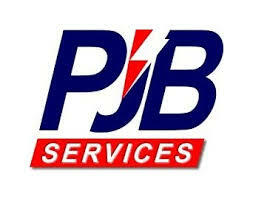 Prior to becoming a company, PJB Services is one of the services business unit in its efforts still depend to PT PJB. The purpose of the establishment of the PT. PJB Services is focused on handling business outside the generating units of PT PJB and is expected to capture market opportunities that are opening. In line with Government policies that provide opportunities to the private sector to move in the business of electricity supply, increase the chances of PJB Services on the market within and outside PLN. Globally, PJB Services already has a client on the largest islands in Indonesia such as Kalimantan, Java, Sumatra and some overseas clients including in Kuwait and Saudi Arabia. To expand its business, PJB Services not only in cooperation with domestic companies but also a kind of electric companies in the country of Korea, Malaysia, United Kingdom, China, Saudi Arabia and Kuwait. Basically PJB Services core business focus in the field of maintenance both in short term and long term. Having gained the confidence of the PT. PJB to manage 4 power plant Energy Diversification Acceleration Program (PPDE) 10,000 MW, the core business of PJB Services underwent transformation with a focus on areas of power generation operation. Operation four PPDE 10,000 MW power plant which will be handled by PJB Services is a Paiton Baru (1x660MW), Indramayu power plant (3×330 MW), Rembang plant (2×315 MW) and Pacitan plant (2×316 MW). As for the operation & maintenance projects outside of the PLN, PJB Services handles O & M PLTGU PT. Asta Keramasan Energy (2×50 MW), O & M Tanjung Jati B power plant unit 3 & 4, O & M Hydroelectric Asahan PT. China’s Huadian Power Plant Corporation (2x90MW) and others. Jarno.web.id – Info Lowongan BUMN CPNS 2019 © 2019 - 18 q. 0.791 s.